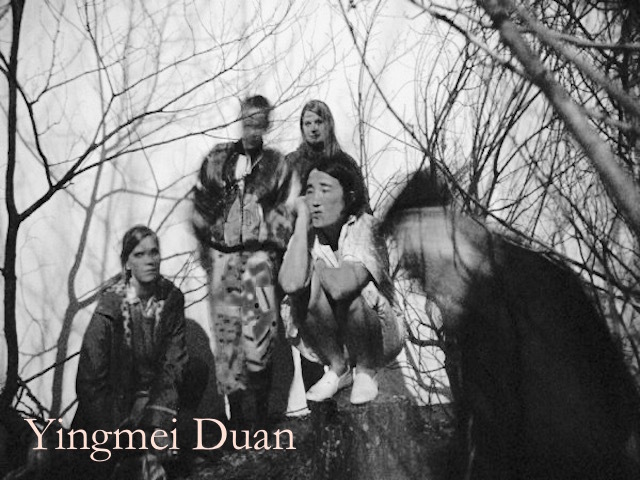 Born in China, Yingmei Duan is part of the Chinese avant-garde. She worked as a painter for many years living in the legendary art district of Beijing’s East Village. 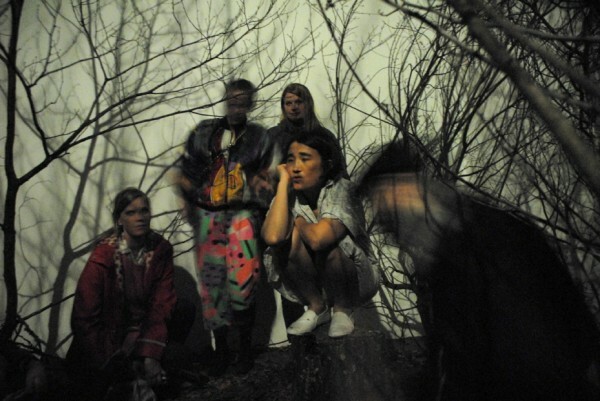 In 1995 she participated in the performance To add one meter to an anonymous mountain, which is considered to be one of the classics of Chinese modern art. She became a pure performance artist under the influence of Marina Abramović, with whom she studied at the HBK Braunschweig in Germany from 2000 to 2004. There, she also worked for one year with the filmmaker and action artist Christoph Schlingensief. 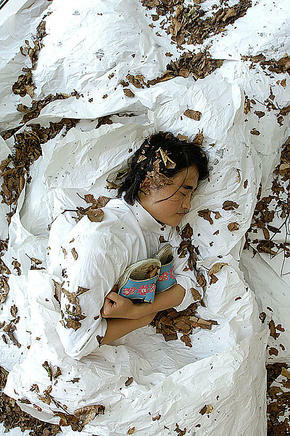 Yingmei Duan has made her name in numerous national and international exhibitions, festivals, residencies, lectures and workshops through her remarkable, thought provoking and emotional performance art. Besides her solo projects she loves to work with people from different cultures, ages and areas of life and has realized over 50 collaborative performances. Her artworks frequently in progress, and can stretch over long periods of time. 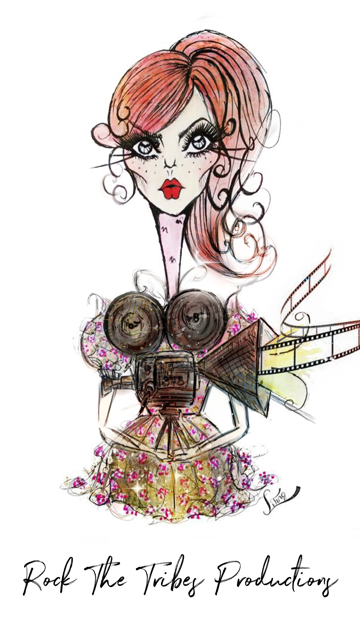 Here she meets Louise Leverett to discuss art, inspirations and creativity. LL: So at what moment in your life did you decide that you wanted to be an artist? YD: I had a big operation in Beijing when I was 21 years old to correct my pronunciation. After the operation I had a high fever for 9 days, during this time I had many vivid dreams about art. Then when I left the hospital my father helped me make my artistic dreams come true. LL: It is obvious your family have had a big effect on your work. Has there been anyone else who has had a particular influence on your creativity? YD: In my art career there are any people who have influenced my creativity up until now. My private art teacher Yang Jianhua who teaches in the fine art academy in Beijing was the first person to let me know what it is to create art work in 1991. One day he told me I should make my own art work, I told him I did not know how to, and I asked him to do it for me, then he responded how could he do it for me if I were in a exam. What he said to me made me think it over. Since then I began to make my own art works. I remember my first work was a painting in which a woman is cleaning the street. LL: In terms of creativity what surprises you in the world today? YD: The development of science and technology has influenced contemporary art and contemporary art has also influenced the development of science and technology. This mutual relationship inspires me a lot to be an experimental artist working today. Contemporary art surprises me so much, especially performance art, the various possibilities give me so much passion to explore and excavate. LL: I was lucky enough to perform with you at The Hayward Gallery in London for quite a long period of time. I learnt so much from you as an artist and about Chinese culture. How important do you see culture as a way of defining creativity? YD: I believe culture influences the creativity of each artist. Art is a very important part of culture. Since travelling through the world I have found most countries in Europe have major art galleries, which are privately or publicly funded and have an arts community. This also applies to theater, opera, classical concerts and pop music as well as the role of culture in schools. I think art education should be encouraged for people of all ages and areas of society in all over the world. LL: I remember vividly, your use of song in the ‘Happy Yingmei’ piece at The Hayward, Do you use music as a point of reference for your other work and if so, what pieces inspire you most? YD: I have worked a few times with musicians, and I am very interested in music but more as a collaboration to create something new rather than being inspired by particular pieces from the past. In the 1990s I was with a musician for some years, and I listened to a great deal of rock and roll music almost each day, sometimes I even listened to music non stop for 21 hours. I think this time inspired me later to start using music in my performances. LL: What scares you as an artist today? YD: Not trying to experiment constantly, not communicating with different people from various backgrounds, and not trying to be curious of all kinds of knowledge…Art is a bottomless pit and creating has so many possibilities. YD: I am curious of all cultures, and have travelled a great deal doing projects in many different parts of the world. I am most interested in people at the edges of society, and am very lucky to have made contact with so many people during my lifetime so far. Knowing people, analysing their thoughts, communicating, and giving people encouragement are all important for me to create work individually and collaboratively. LL: How does your own culture or place in the world influence you and your work? YD: Coming from China has influenced my work and reference points, but so has coming to Europe and being based in Germany and traveling around the world. Therefore I see my influences as a merging of areas around the world. YD: My world rotates through my interaction and collaboration with others such as my family and my constant curiosity concerning what will happen next – approaching art creation as a slow step by step process. I think individual freedom is the most important thing. Art must be free. Freedom, art and love belong together.